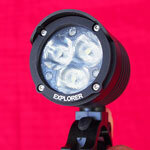 The DiNotte XML-3 is a 1500 Lumen light that is ideal for bar or helmet use. 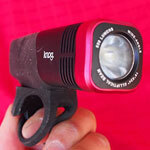 Weighing in at 355 grams, it lasts 2:30 hours on full power or 5 hours at a very capable 700 Lumens, ao it’s ideal for most of your post-daylight bike adventures. The DiNotte has excellent beam pattern and color. 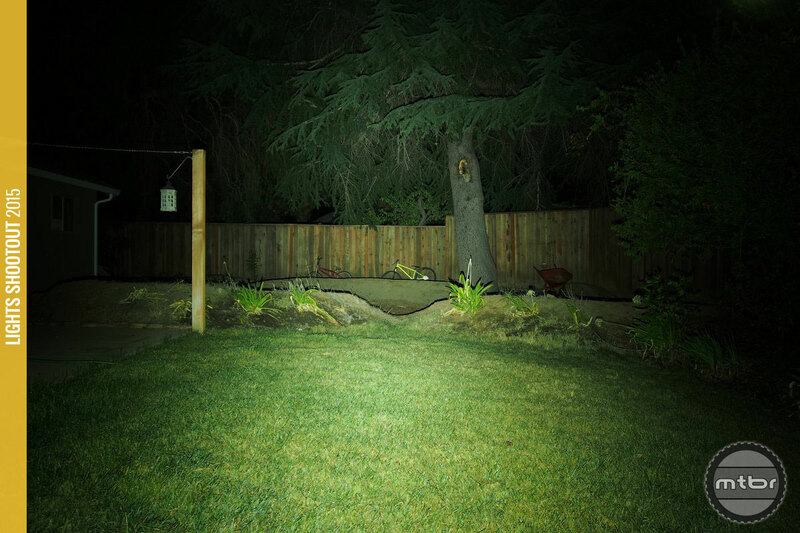 It’s not the widest beam but it is very even and consistent. 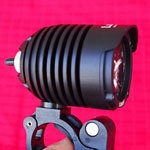 The throw is very good as can ride at full speed with this one light alone. 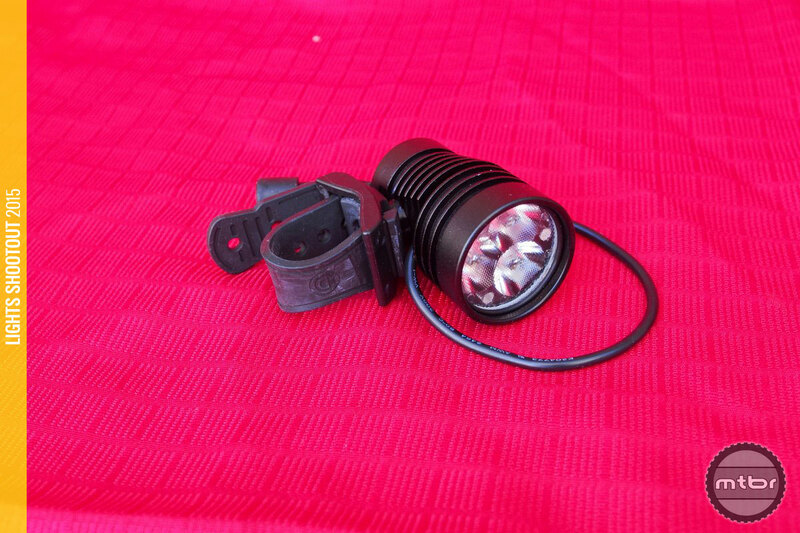 At speed, using this light inspires confidence as one is really able to decipher the trail and see obstacles and trail contours. 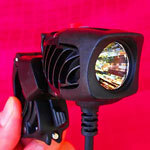 The weight for this light system is 355 grams and the run time is 2:30 hours. This is an impressive power to run time ratio and even more impressive is that it measured in at 1573 stable Lumens in our lab testing. 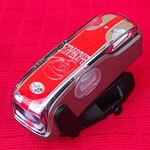 This makes the system an efficient tool for racers, commuters and endurance riders. 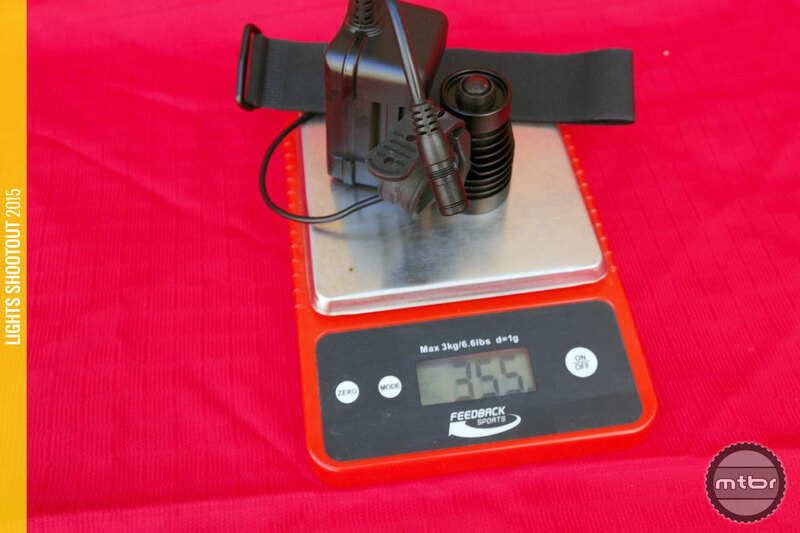 The head of the DiNotte XML-3 is small and light at 95 grams. 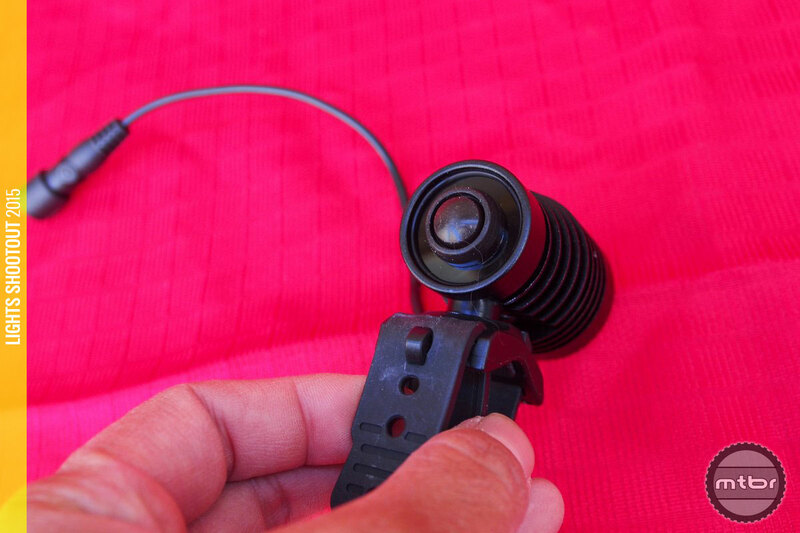 This includes the mounting system that is probably the easiest to use and the most secure. 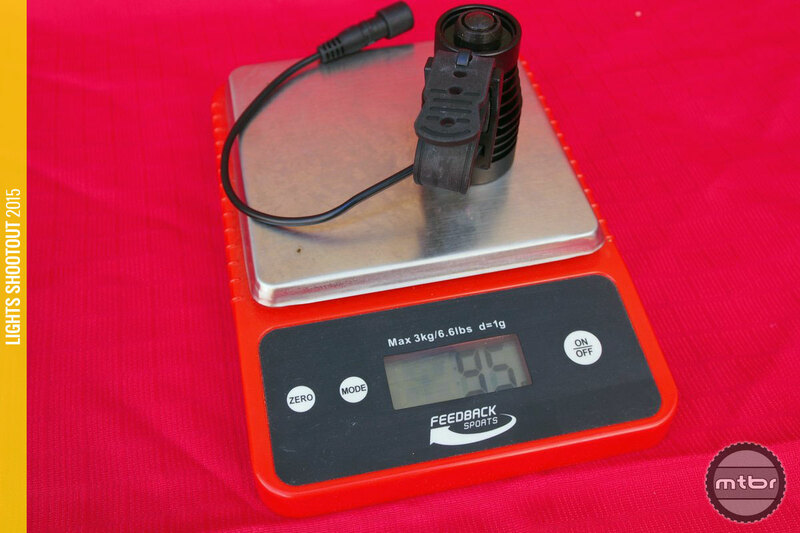 The switch is very easy to find and use and the cooling fins are very functional for keeping temperatures under control. 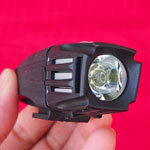 Couple that with DiNotte’s safety, quality and customer service and this package is a good option. DiNotte uses good batteries and charges them properly. Everything is UN and UL tested and the lights are never over-driven. 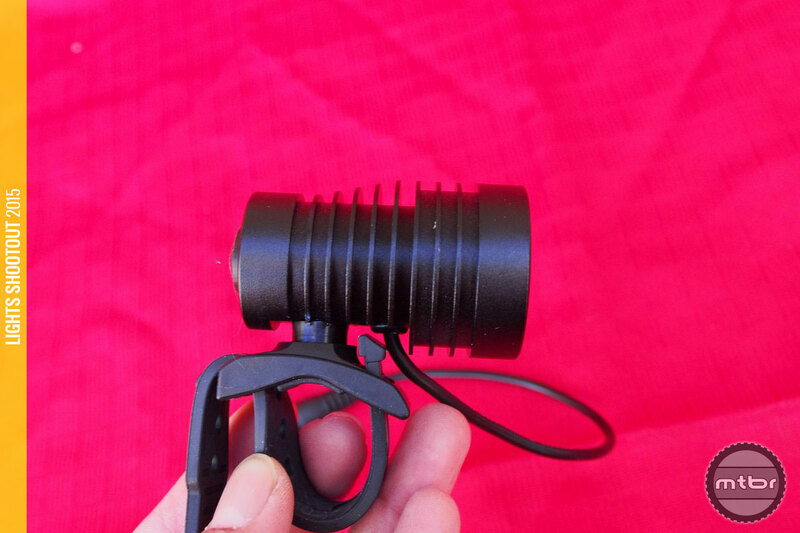 They are designed and manufactured so the small DiNotte headquarters can spend time producing lights instead of answering problem/failure phone calls. 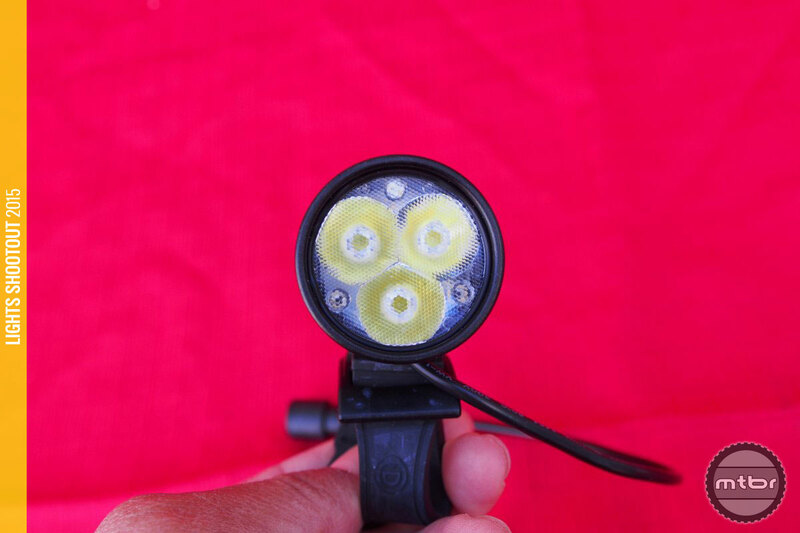 Battery and charging is provided by the existing four-cell battery and charger systems, so existing customers with these batteries can just buy the new XML-3 light head to experience the latest in DiNotte engineering. 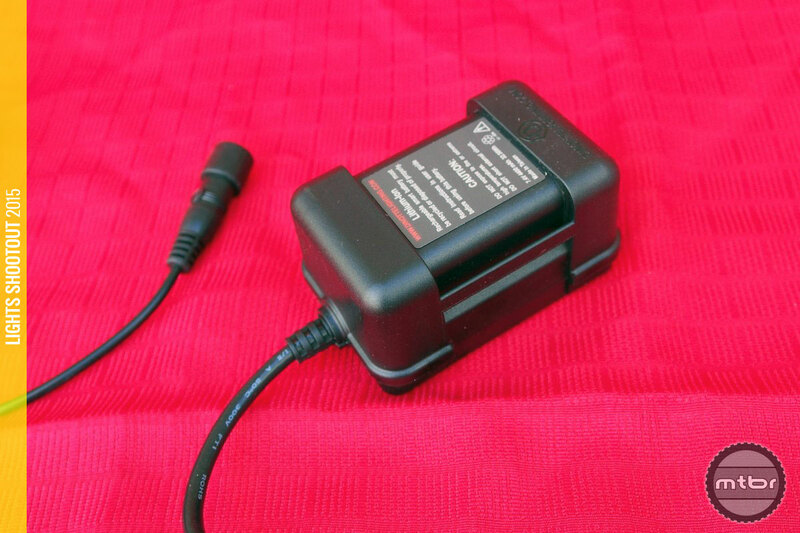 DiNotte passes all the UL/UN safety standards for batteries and chargers. 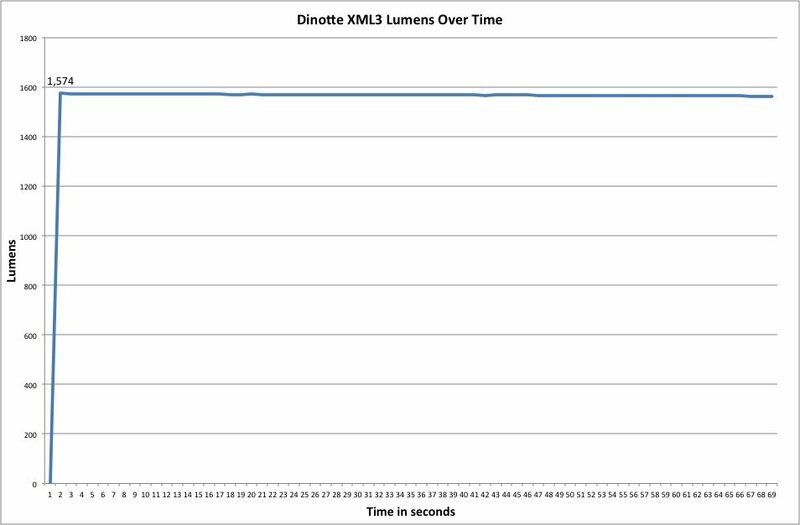 The video shows how well the DiNotte XML-3 does at speed. 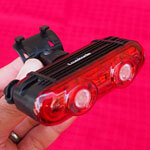 The trail is fully visible and riding with this light is confidence inspiring. 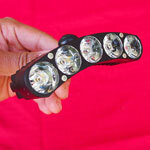 For more information visit store.dinottelighting.com.